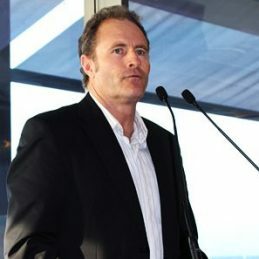 Craig Hamilton is a sports commentator best known for his work in Rugby League broadcasting. His career started in 1994 with ABC Radio Grandstand’s Rugby League coverage. Hailing from Singleton in the Hunter Valley, Craig worked as a coalminer in the Newcastle area before moving to radio full-time in 1999. Craig was a member of Newcastle and NSW Country cricket teams. His career highlight was playing a touring Sri Lankan team in 1990. On the eve of the 2000 Sydney Olympics, of which Craig was selected to broadcast, he had a psychotic episode and was hospitalised and later diagnosed with bi-polar disorder. Following 12 days in hospital and his subsequent recovery, Craig has become an ambassador for mental health organisation Beyond Blue and worked as a mental health advocate. He has addressed audiences at community forums, conferences and schools. He released his acclaimed memoir, Broken Open, in 2004 which gave his personal account of living with bipolar disorder. His second book, A Better Life, was released in 2012. Craig is an in-demand motivational speaker who travels the country sharing his story and experiences and giving insights into living with a serious illness.